IFMSA-Sweden is proud to present its latest initiative; an interest in the field of emergency medicine. We live in a world where disasters, caused both natural and man, creates enormous suffering for almost a quarter of the world population. The intensity and incidence of disasters has grown steadily and are expected to continue rising. This places great demands on healthcare and society both in and outside the affected areas. Disasters affect both sustainability, financial and social development. We believe that disaster management is an area that is not covered sufficiently large degree in relevant undergraduate programs in Sweden and we want through this group offer Swedish nursing students a platform to learn about and get involved in disaster medicine. The group will keep your members up to date on what is happening nationally and internationally in the field of disaster medicine, both news and opportunities to participate in activities such as workshops, trainings, lectures and online activities. 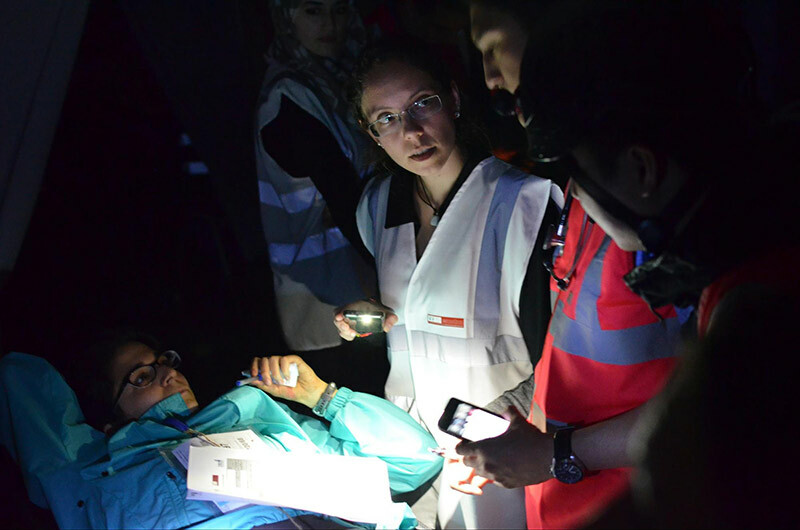 Our ambition is to be able to offer more training weekends with authorities and NGOs to build a major disaster medical skills of future health professionals. An idea of ​​this group is to eventually make it possible for interested students, with the help of Safe Hospital Index assess disaster preparedness at Swedish hospitals for the purpose of influencing counties drive development towards increased readiness. More on this later. Do you want to start up Katastrofmedicin in any of the other local towns?